This great article in Quartz discusses the way a Canadian operation of the engineering giant GE has implemented ‘Holacracy’, a posh way of saying that teams themselves decide how to reach the company’s goals. The logic is simple: nobody is better equipped with the vision to solve practical problems than the teams themselves. 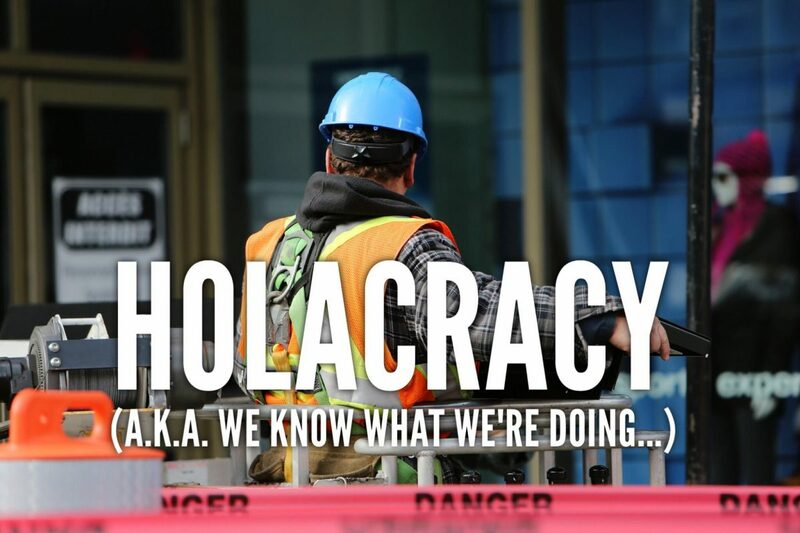 Holacracy doesn’t work for everyone (as ever, no strategy works for everyone), but at A2B, we have always maintained that the best route to efficiency is to leverage the latent talent and goodwill of employees, and there’s no better way to encourage that goodwill than to bother to listen to their solutions. GE is proof that breaking down the hierarchies works in a big, old engineering business just as well as it does in a cool online startup. At GE, the process is called ‘Teaming’ – and it extends well beyond the org chart. ‘Councils’ ensure that shop-floor opinion is represented when it comes to strategic decision-making – and again, this means that intelligence from operations feeds effectively in to planning. “Them” – when management are removed from operations enough to become “Them”, the problem is already deep-rooted. “This way” – there’s a better way, and it’s not being discussed. There may be reasons why the alternative is not an acceptable solution, but by dismissing it out of hand, resentment and disillusion are guaranteed. The GE process prevents any of this from happening. It’s worth examining the nuance of what’s going on here – because “teaming” is not some sort of hippie commune. Welders are not being invited to make decisions about the direction of the business. That would be foolish: welders are good at welding, and managers are good at managing. Rather, what’s been removed is hierarchical isolation for its own sake; which prevents managers from being able to manage as effectively as they might. If you want proof of the destructiveness of hierarchical isolation, take a look at Malcolm Gladwell’s ‘Outliers’ in which he explains how an overly hierarchical culture directly contributes to plane crashes. There’s no reason that a certain set of management skills should automatically confer hierarchical seniority. It is entirely reasonable that line managers, in particular, should have experience of the work that they supervise; but in management roles it’s often non-technical skills that matter. This is why FTSE350 businesses are run by a small group of talented people who can often transfer their strategic, financial and communication skills across businesses in any sector: what they are good at is management itself. Smart managers do their best to break down the hierarchy. It’s not that it doesn’t exist at all (and you can bet that it still manifests itself in pay packets!) but if there’s one management skill to cultivate, it’s expediency. And everything suggests that it’s commercially expedient for managers to remember that team leaders lead best when they remember that they’ve got a team.